This week I’m going to do something a little different. Don’t worry, we’ll still cover personal finance like we always do. I’ll just be covering some broader topics as well. I’ve been wanting to write about Jack Johnson for some time. I had planned to simply write about his wisdom when it comes to personal finance and one other topic. However, it felt like writing about Michael Jordan and not mentioning basketball. There are two reasons why this is the perfect time for Jack Johnson Week. This past Saturday was Earth Day. 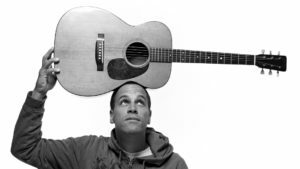 While Jack Johnson is known for his music, he might be best described as an environmentalist who happens to play guitar. I’ll pay tribute to that tomorrow in a longer post. Because saving the environment has oddly recently become a political issue in the United States, I feel it’s a great time to emphasize that we all benefit from things like clean water. I’d like to recognize the amazing things that can some from a single person from an island in the Pacific. I will be the first to admit that Jack Johnson comes off like a big hippie. What else would you expect from a former professional surfer/singer/acoustic guitarist/environmentalist? I’m sure his style isn’t for everyone, but I can appreciate messeages of sharing love. And as a father of a 3 and 4 year old, the message of sharing toys has been invaluable. If this kind of stuff isn’t your thing, then I ask that you kindly check back next week. Where Did the Idea for this Jack Johnson Week Come From? I should make it clear that this isn’t an advertisement, but because I’m a big fan it may sound like one. He’s how I became a Jack Johnson fan in the first place. After all, five years ago that I was probably like you, a person who didn’t think twice about a one (or two) hit wonder from 15 years ago. My fandom couldn’t have been more innocent. Our newborn loved this Curious George Opposites book. Back in 2013, I described it as one of the best frugal baby “toys”. So with a background that our pre-toddler loved Curious George, it made sense to get the Curious George Movie. 3. Drew Barrymore as a unique cartoon figure – Her character is an extremely intelligent teacher delivering the most insightful line of the movie. Also, from a male perspective, it’s refreshing to see her get a little tongue-tied talking to a man she has a crush on… and her self-effacing reaction for not doing better with the conversation. (Maybe it’s because I have been on the other side of that my whole life.) The illustrators made her physical appearance stand out, but not in an overly ridiculous way like Jessica Rabbit. Finally, Drew Barrymore’s voicing is just perfect for all the above. 2. Will Ferrell as The Man in the Yellow Hat – I am a huge Ferrell fan and I’d say this role might be one of his best. From the DVD extras it appeared he created much of the dialog and jokes… he wasn’t just lending his voice. It takes a special talent to keep a 2-year old and 40-year old entertained. 1. Jack Johnson’s music – Musicals are my wife’s thing, but I feel like the movie was a borderline musical. And why not? Kids love music! Every song does exactly what a good musical should do (IMO) which is “amp up” the emotion of the moment by 10x or 100x. There’s a reason why it was a best-selling soundtrack. My wife bought that soundtrack. The last 4 or 5 songs are lullabies which are perfect for young kids (even better in a car!). I’ve been listening to many of his other songs on Amazon Prime via the Amazon Echo. Unfortunately the soundtrack isn’t available on Prime streaming. Fortunately, I’ve learn a lot from the other songs that are available on Amazon Prime. That brings us full circle on why I’d have a Jack Johnson week. I can identify with the lyrics and I feel he presents a positive message that we should all embrace. For those who haven’t been disconnected from the world over the last couple of weeks, “Weird” Al Yankovic has been busy promoting his new album Mandatory Fun. It’s an ingenious promotional campaign where he put out new videos every day for over over a week. Personally, the last thing I remember from him is Amish Paradise. That was nearly twenty years ago and it has been thirty years from his heyday in the 1980s. Everything is cyclical and Weird Al is showing that he still has some cheese on his fastball (to evoke my favorite Eckersleyism… hopefully the “weird” and you can see why he’s been successful. This has got me thinking about the value of being an expert versus being good in a lot of little things. I find it very difficult to focus on one or two things. I know this may not surprise anyone given my previous cheese tangent, but sometimes I feel like I have a little ADD, switching from one thing to the next. I think I see more value in getting somewhat proficient in a new skill than trying to squeeze the last ounce of perfection in a current skill such as blogging. I’ve often wondered about how this translates to my blogging in general. Regular readers know that I usually don’t take time to find an image and put it into article. In fact, and I hate to admit it, but I don’t proofread many of articles. While it’s easy to just say it’s “Lazy being lazy”, it’s really because I’ve got a lot of other things going on. These other “things” often contribute to the very thing that I think get people to read my articles. For example, looking for investment properties is not quick or easy. However, having been there and done it, I can confirm it is a lot of work… but it also can deliver a large amount of “relatively” passive income. 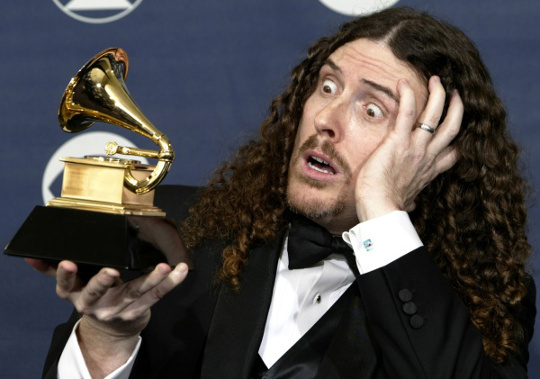 To bring this back to Weird Al, I wonder if he’s continually practicing his music to play better polka. My hunch is that he isn’t. I’m sure he’s continually trying to write better parodies and honing his craft there. I’d love to ask if he’s trying to squeeze the last ounce of comedic genius out of his brain or if he’s learning new skills because that’s of interest to him. My hunch there is that it is the former. 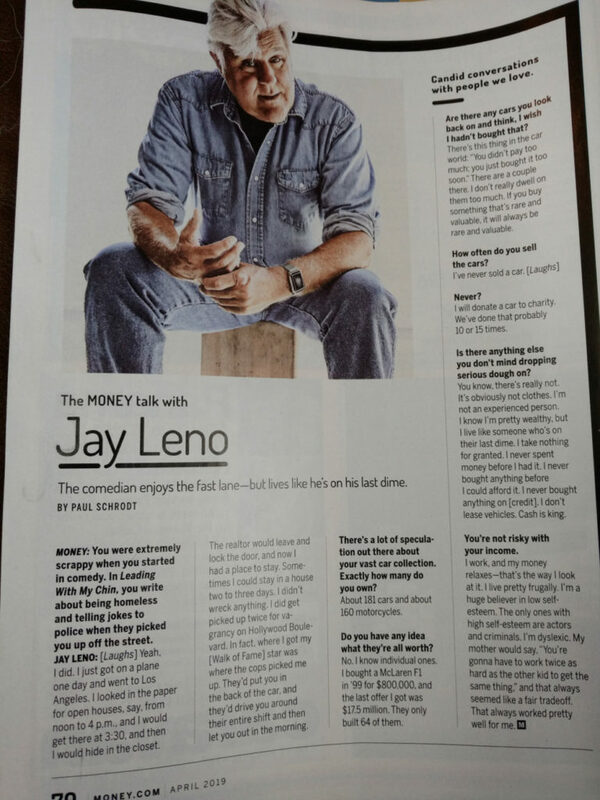 In the past week or so a couple of stories of celebrities and money caught my eye. I don’t usually write about celebrities (much less pseudo-celebrities who didn’t do anything for their fame), but every now and again it is worth taking a look for a little perspective. The first story is about One Direction’s Liam Payne buying a $2 million bottle of champagne for his friend. Who hasn’t splurged a couple of million a good friend, right? The news story cited that he took home around 7.5 million (converting from pounds to dollars) last year. It seems like that was a gift of around 25% of his earnings, which is pretty sizable for anyone. Even worse, it’s not an asset as they drank it. Not since Montgomery Brewster mailed an extremely rare stamp has so much money been blown so quickly. The other story that caught the attention was that Kayne West is selling plain white T-shirts for $120. If you are looking to get in on that, tough luck, they are already sold out. When I first heard these stories, I had an idea to write an article asking the readers “Which is worse?” Now I see the stories as two very different things. Liam Payne’s decision seems to be a wreckless waste of his own money while Kanye seems to be simply maximizing his business potential and taking advantage of his fans (in my opinion). As for the people themselves, I recently learned that One Direction is not same band as One Republic, and not at all related to the New Directions on the TV show Glee. I also don’t know much about Kanye other than his famous rant during Taylor Swift’s acceptance speech at an awards show. Here’s what I do know. Macklemore needs to do a follow-up to Thrift Shop. The $50 Gucci T-shirt he raps about “getting tricked by a business” is a bargain compared to Kanye’s $120 t-shirts.